Since the election of Donald Trump to the U.S. Presidency, the peace advocacy community has grown increasingly worried and has recognized an urgency to respond. The campaign promises, if kept, will be harmful to the people and planet. 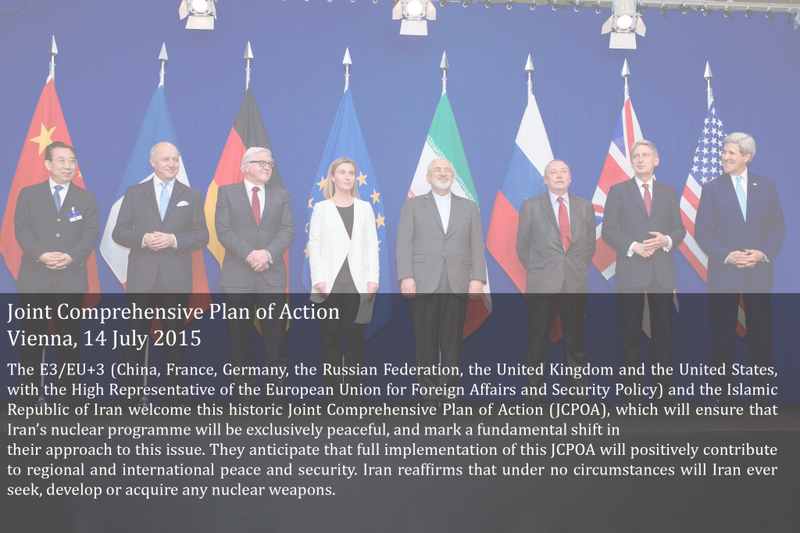 The Joint Comprehensive Plan of Action (JCPOA) – commonly referred to us the Iran Nuclear Deal – is a multilateral agreement between Iran and the P5+1 (the U.S., U.K., France, Russia, China plus Germany), along with the European Union. Its primary objective is preventing Iran from acquiring nuclear weapons. The deal should be examined through the lens of this objective. An assessment through the lens of peace and conflict science. This paper examines the connection between peace, conflict and trade through the lens of peace and conflict science. Core to the examination are the contradicting propositions that trade promotes peace and trade is a source of conflict respectively.